January 21, 2016 (continued): As promised my Pier 39 sea lion masterpost, because I went a bit crazy taking every angle I could of these majestic water doggies. 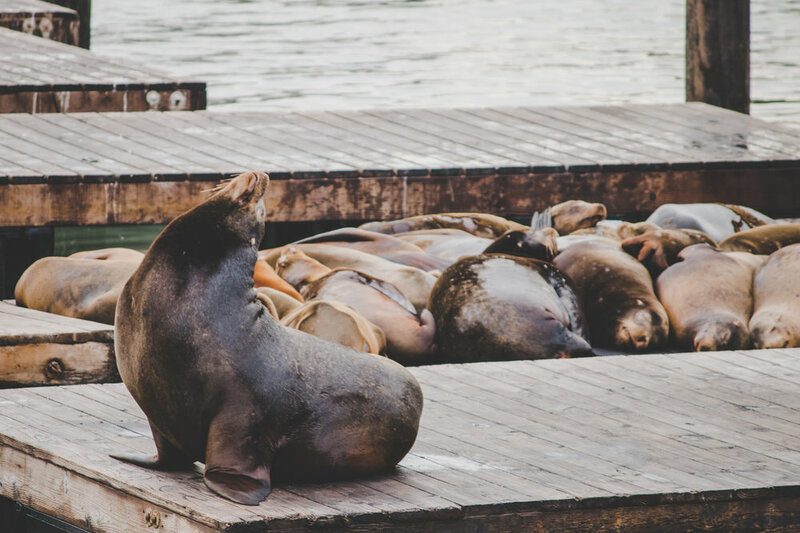 Approaching the pier, the smell was pungent from a mile away, but it was worth it to witness them in various positions - bathing in whatever small gap of sunlight they could find, soga (sea lion yoga), squabbling, and lying in a row like a sardine can. It was the perfect end to my day! if you know the original source please let me know!